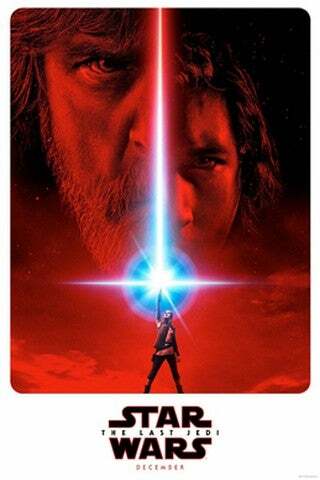 What is the Opening Crawl of 'Star Wars: The Last Jedi'? As iconic as Darth Vader, the Force or intergalactic adventure, the opening text crawl in Star Wars films not only gives background information to audiences about the adventure they will imminently see unfold, but also helps viewers decompress after the excitement of seeing the words "STAR WARS" burst onto the screen. With screenings now underway for The Last Jedi, the opening crawl for the latest adventure has debuted for the world to see, which you can read below. "The FIRST ORDER reigns. Having decimated the peaceful Republic, Supreme Leader Snoke now deploys his merciless legions to seize military control of the galaxy. "Only General Leia Organa’s band of RESISTANCE fighters stand against the rising tyranny, certain that Jedi Master Luke Skywalker will return and restore a spark of hope to the fight. "But the Resistance has been exposed. As the First Order speeds toward the rebel base, the brave heroes mount a desperate escape...."
While it may seem as though this text isn't nearly as important as the rest of the film's script, Last Jedi writer/director revealed earlier this year the amount of pressure to perfectly craft this preface. When speaking with The L.A. Times at D23, Johnson spoke about how he struggled to craft the words that he knew would set the tone for the upcoming film. Before revealing his inclusion of "decimated" made him particularly proud, Johnson joked about the word he was especially proud of fitting into the crawl. The Last Jedi is in theaters now.